With Readly you can read Mac Complete Manual and thousands of other magazines on your tablet and smartphone. Get access to all with just one subscription. New releases and back issues – all included. 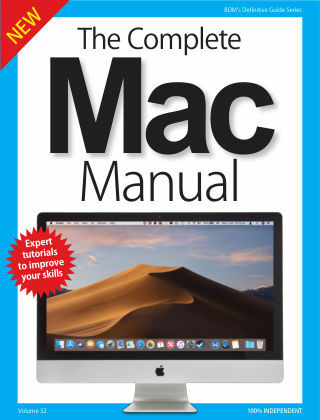 The Complete Mac Manual shows you everything you need to know about your desktop or notebook Mac. If you haven’t yet purchased your Mac, we show you the differences between the various models. We then take you through the setup process, including getting onto the Internet and setting up email, before showing you the basic functions and advanced features of all the Mac’s key bundled apps. We show you how to use the operating system too, with tutorials on Finder, the Dock, Notifications, Siri and more. 100% Unofficial.